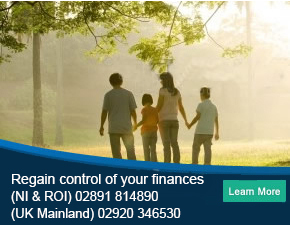 Have you considered a Debt Management Plan? Before a DMP can begin, a detailed monthly budget is created. This takes into account every element of income and expenditure. Priority is given to essential expenditure such as mortgage or rent, utility bills, council tax costs as well as transport to and from work and general housekeeping expenditure. All other non-essential expenditure is then provided for in a monthly allowance, which will include the cost of car servicing, leisure activities, repairs to the home and other such expenditure. It is important that every element of expenditure is worked into a debt management plan to ensure that the repayment terms offered to creditors are realistic and manageable, allowing some leeway for unforeseen expenditure as and when it arises. The ultimate aim of a DMP is to see your creditors repaid in full, and therefore the timeline in which to achieve this will be dictated by the level of your debts and the amount you can afford to repay on a monthly basis. This can also be affected if creditors do not agree to freeze interest and charges for the duration of the plan. Once a manageable DMP repayment rate has been calculated, your debt management plan provider will then write to creditors on your behalf. The amount of repayment offered will be justified with relevant details of income and expenditure, allowing creditors to assess whether they deem the monthly payment to be reasonable. The amount each creditor is offered is split fairly in what is known as a ‘pro rata’ payment. As an example, if you owed 50% of your total debt to one particular credit card company, they will be offered 50% of the available payment. You will then pay the agreed monthly repayment to the debt management plan company, who will distribute the payments on your behalf based on the percentage due to each creditor. A DMP can remove much of the stress from the situation, as you can direct any creditor contact (e.g. letters) on to your debt management plan company to deal with on your behalf. If you think a debt management plan sounds like an appropriate solution for you, please contact our friendly team directly for further DMP information. Do you need a DMP? Call 0808 168 9099 or click below.